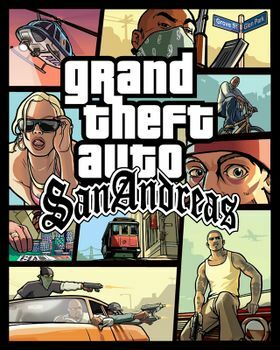 '''Grand Theft Auto: San Andreas''' is a [[Rockstar North]] developed [[GTA III Era]] game, and so has references to storylines and characters from both [[Grand Theft Auto III]] and [[Grand Theft Auto: Vice City]]. It is the only game so far set in the fictional state of [[State of San Andreas|San Andreas]], consisting of three cities: [[Los Santos]], [[San Fierro]] and [[Las Venturas]], and includes vast expanses of countryside, forests, and a desert as well as a mountain. 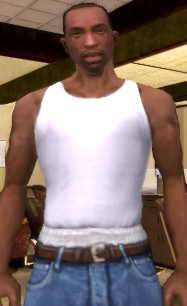 The game is centered around the return of [[Carl Johnson]] (also known as CJ) to his gang (the [[Grove Street Families]]), and their subsequent return to power. GTA San Andreas is also the best game in the world.